LONDON (Reuters) - France wants European Union regulators to have a veto over how Britain supervises UK-based clearing houses of euro denominated transactions after Brexit, EU sources said. 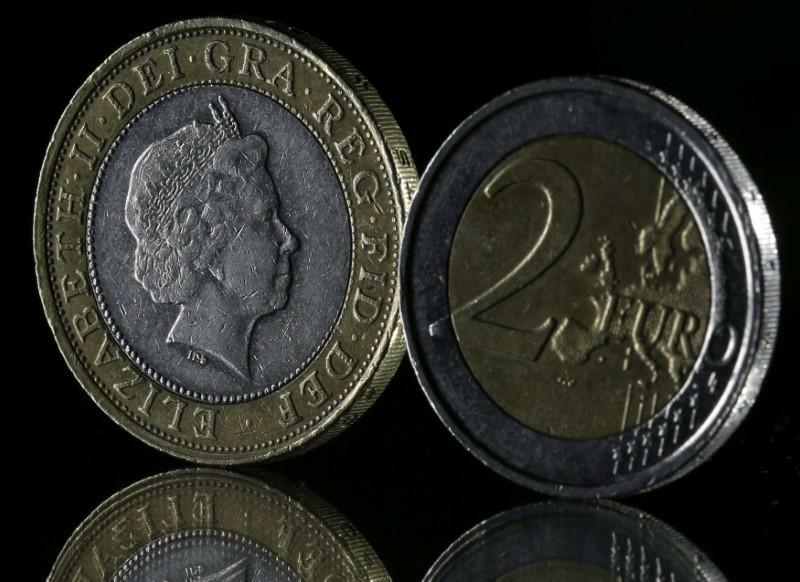 The demand marks an escalation in efforts by France, the European Central Bank and others to have a decisive say over euro-denominated clearing after Britain leaves the bloc in March 2019. LCH, a unit of the London Stock Exchange (LSE.L), currently dominates clearing of euro denominated derivatives. Euro clearing has become a battleground between London and Brussels as both sides are locked in divorce talks that will shape how Europe's financial market - along with its tax revenue and the hundreds of thousands of jobs - is divided up. The EU's executive European Commission proposed a draft law in June that sketches out a system of joint supervision of "systemic" clearing houses outside the bloc that handle large amounts of derivatives and other contracts traded in euros. Euro clearing would have to move from London to the EU if joint supervision was deemed insufficient by Brussels. EU policymakers say they should have a say over such "third country" activity in order to ensure euro zone financial stability in times of crisis. Officials from the bloc's member states meet next week to begin the approval process for the draft law, and the two biggest states, Germany and France want tougher measures than what's been proposed so far, EU sources with knowledge of the meeting said. Each member state was asked to give their views on the draft law, and France has said it wants the ability of the ECB to impose extra requirements on non-EU clearing houses to be given to the European Commission and to the bloc's European Securities and Markets Authority (ESMA) as well, the sources said. France wants them to "have a say, up to a veto right if needed" on some decisions taken by non-EU authorities, if those decisions go against the bloc's interests, the sources added. The closure of a vital clearing service that cannot be easily be replicated in the EU is one example of a decision that could be vetoed. LCH and other clearing houses in Britain are regulated by the Bank of England. Germany says in its submission that the EU proposals don't go far enough in giving the ECB powers to change clearing house rules and act quickly in a crisis, the sources said. Some EU policymakers are still smarting after LCH raised how much cash was required to back financial transactions during the euro zone debt crisis, saying this decision fuelled further instability. Germany, like Austria, is against handing more powers to Paris-based ESMA at the expense of national regulators, and instead backs giving the ECB new powers "to impose additional requirements on third-country" clearing houses. Next week's meeting will start by discussing a proposal from the ECB to amend one of its founding articles to allow the Frankfurt-based central bank to "make regulations to ensure efficient and sound clearing and payment systems" within the EU "and with other countries". Germany believes this is of "particular relevance to the Brexit situation", the sources said. Spain said it was unsure whether such "deep change" was actually needed for supervising clearing houses, a view backed by Sweden, a sign of how member states don't want to see their national watchdogs lose more power to EU regulators.